They offer unique varieties of every street food imaginable, including chaat, kulfis, paranthas, and a ton of different samosas and kachoris. They have barely 10 seats, which really don't count as a "dining" area. However, the service is pretty quick and they expect you to be pretty quick as well. You can of course order online or take-away, which might be a better idea so you can enjoy the food in air conditioning. Get the onion kachori, and try the sandwich and stuffed dhoklas. 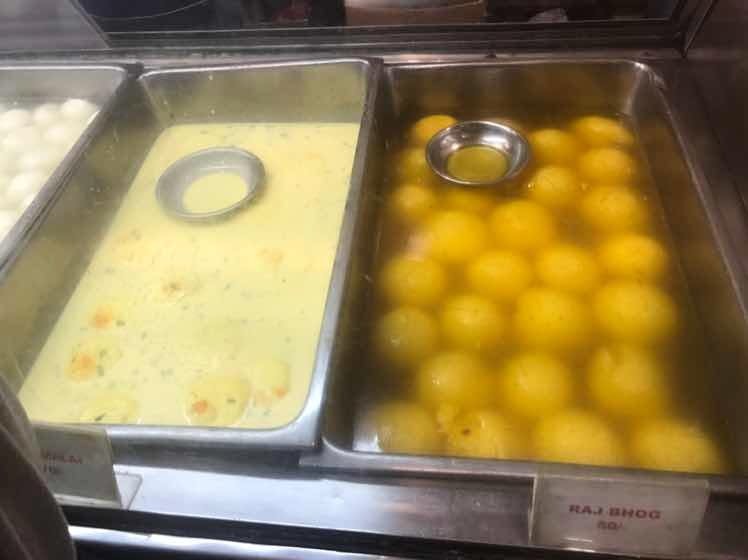 If you have a sweet tooth, try the kulfi-rabri faluda, and the rasmalai. Also get the papdi chaat if you go in the evening. It's to die for. They do have certain combinations on the menu for exclusive lunch options, and a few especially for dinner which are only available during those hours.